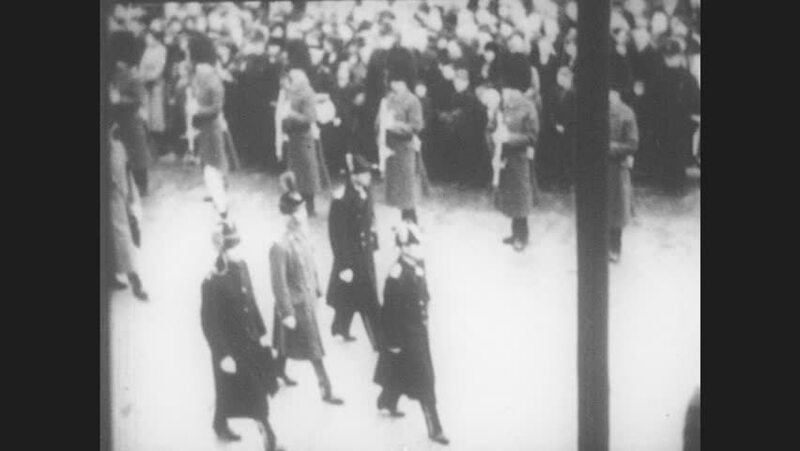 1950s: George VI walks in parade with men in uniforms and wears crown and robes with priests in cathedral. sd00:371930s - Water skiing at Cypress Gardens Florida in the 1930s. hd00:11Blank plastic bottles for brewing beer on the line. Brewery. hd00:08Blank plastic bottles for brewing beer on the line. Brewery. hd00:17Slow drip coffee being poured.